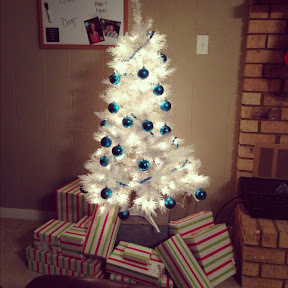 I had a night at home alone so I used that time to get a start on my Christmas wrapping and thought it might be fun to put up a Christmas tree for the first time in years. 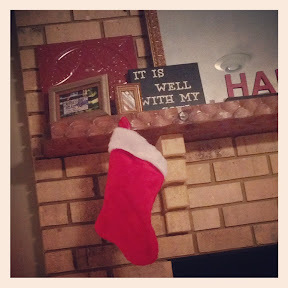 I even put up a stocking!!! 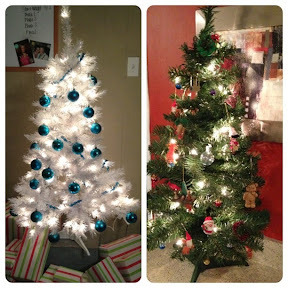 Well, my sisters were so happy about embracing of the season that it has now officially gotten out of control!!! 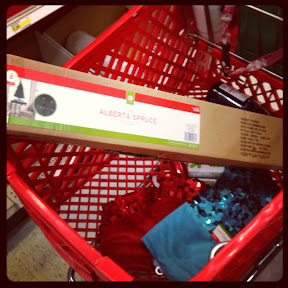 I did a mini shopping spree with my sisters tonight and my entire buggy was Christmas decorations. It was actually a lot of fun picking them out. 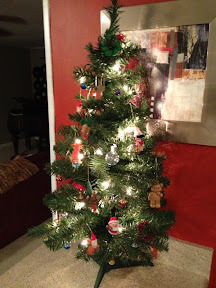 So when I got home I put up my SECOND tree with old ornaments that my mom gave me years ago. It was actually a little sentimental getting to go through them for the first time in years. 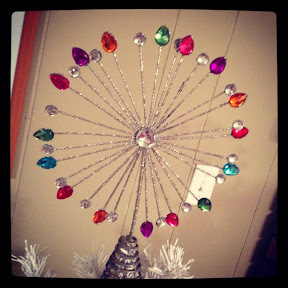 I also got the cutest tree topper for my fancy, untraditional white tree. Just go ahead and be prepared, I'm sure now that I've opened the flood gates my house will look like the Christmas decorations isle threw up!!! My new hash tag for every photo...#tistheseason!! !